Alarm clocks are the worst thing of the morning because nobody wants to be rudely awakened from their wonderful dreams. 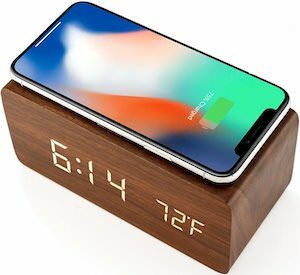 This alarm clock makes it more fun to wake up. 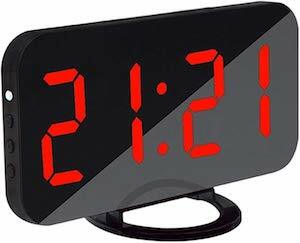 Not only can you use this clock as any normal alarm clock but this one is special. 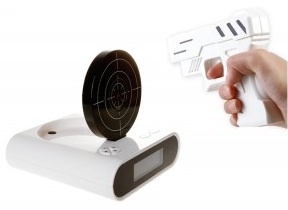 In the clock is a build in target that comes up when it is time to get up and then you get the gun and shoot at the target to make the alarm stop. So if you like to shoot things and don’t like to get up in the morning then you found you match. Come check out this fun Shoot At Alarm Clock. How about a fun clock that is not round? On the clock you find 12 pictures of Sheldon Cooper all wearing one of his famous t-shirts that you see on the TV. In the middle surrounded by all this photo’s you find a clock. So if you like The Big Bang Theory then this could be the clock for you as a square clock of course is so much better then a round one. 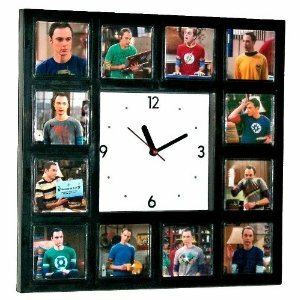 Come have a closer look at this The Big Bang Theory Sheldon Cooper Clock. Want to off the grid with your clock or want to teach your kids about electricity then this is what you want. 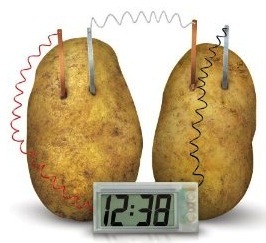 The potato clock kit has almost everything you need to make a working potato clock. Everything from wires and LCD display is included the only thing you need are the potatoes. 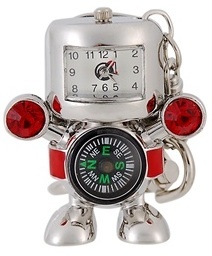 Fun for a science project or just to see the time on your desk come get your Potato Clock. Why get on a boring old clock to tell you time when you could have some freaky eyes doing the same thing. 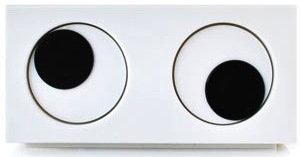 This goggly eye clock is basically two eyes telling time. One eye tells the hour and the other the minutes. 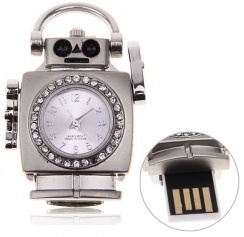 You wonder how it tells time. Simple it looks at the time so the clock on the picture says 11.20 to me. But it is kinda freaking to see those eye stare at you. Time to tell time with the Googly Eye Clock. Angry Birds are hot and you see them everywhere. And now a red Angry Bird can be the first thing you see in the morning. This alarm clock has the red bird from Angry Birds sticking out of the top. On the face plate you will again see this big red bird and some of the other Angry Birds. 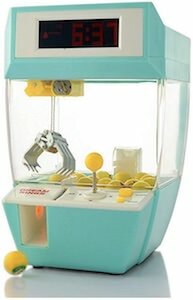 If you like Angry Birds or know someone who does then this could be the perfect buy. The price is just below 5 dollars and this includes world wide shipping. 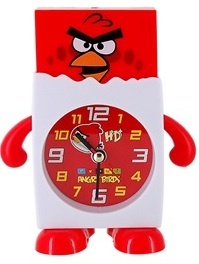 Get ready to give some Angry Birds with this cool Angry Birds Alarm Clock.